The quality of the merchandise purchased sets the tone and standards for the whole establishment. Don't leave quality to chance. Mistakes can be expensive. Word spreads fast and you want a good reputation! Be up-front about quality. Make a conscious decision to purchase "quality" merchandise at the stage when the goals of the business are being established. The products you are buying must be suitable for their intended use. Studies have proven that the more suitable a product, the higher its quality. Make sure that the quality of any product measures up to the needs of your establishment. Quality must apply throughout the establish­ment. When it comes to quality, don't concentrate on alcohol beverages alone. 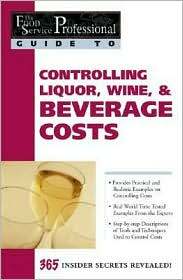 Of course the types of wines, spirits, beers and liqueurs you sell are all crucially important; but don't forget the non­alcoholic beverages, such as quality coffee and soft drinks. Consumers in this sector of the market are a discerning and vociferous bunch! Something as simple as a poor cup of coffee can drive a customer away, never to return. Don't compromise on quality. Don't be distracted by poor-quality "offers" or bulk buys that you think, on the spur of the moment, might just "do." They won't. You'll end up regretting the purchase. Evaluate each product's quality in relation to cost. The most expensive product is not necessarily the best product for your enterprise. When making purchasing decisions, there is no need to sacrifice quality. Look at quality from a clientele perspective. What level of quality do your guests expect? Meet their requirements. Review your vendors for quality. Do you suffer from wastage due to poor quality products? Assess the quality level of potential vendors by first asking for samples. 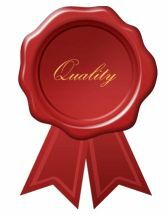 Document quality specifications to vendors. It is important to avoid misunderstand­ings.